* ... SENATE RACE: The jockeying for position for the vacant 16th State Senate seat makes for good political theater, but the inevitable musical chairs has become tedious to watch. 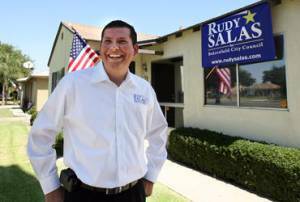 Both 5th Supervisor Leticia Perez, and Assemblyman Rudy Salas, have said they are flattered by all those supporters urging them to run. Yet Perez has been in office just three-plus months and Salas has only been in the Assembly for two months. 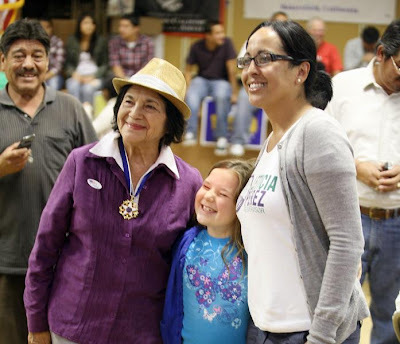 But ambition seems to have no bounds, and my guess is Perez is ready to cash in the county role and go back on the campaign trail with Dolores Huerta in tow for a chance of serving in Sacramento. And Salas? Who knows, but wouldn't it be nice if politicians just stayed put to serve at least a half, or a third of their elected term? 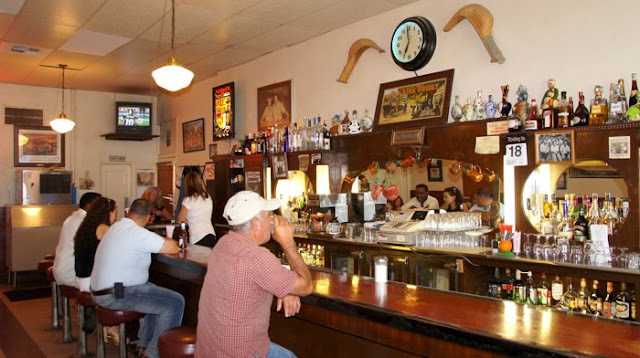 * ... NORIEGA: Is there a better dinner in town than what the folks serve at the Noriega Hotel? 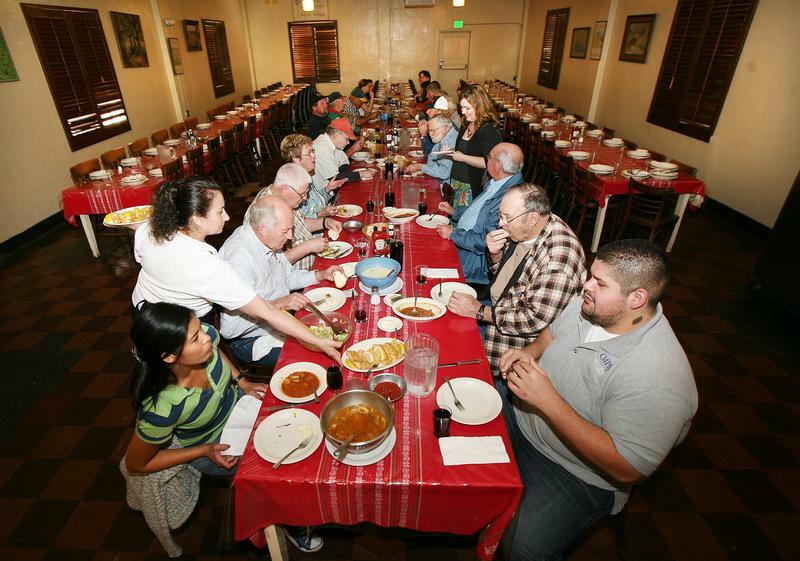 It's no wonder that Noriega's won a James Beard Foundation award and has received a recent wave of positive national publicity. It's not a low caloric event, and you have to make reservations, but if you haven't been in a while, it is certainly worth a visit. * ... DOWNTOWN: Local Republican activist Karen DeWalt is a downtown resident happy to hear that the Smart and Final on F Street will soon be remodeled, but wonder why other local businesses couldn't clean up their acts. "This is the only grocery store for the Westchester area and it would be greatly appreciated if the surrounding businesses would clean up their mess: Golden State Mall, the Dollar Store, Laundermat, Airport Bus. Smart and Final keeps its parking lot clean and presentable and we are fortunate to have them." * ... STARS THEATER: It's nice to see local non profits trying something other than a golf tournament to raise money. One of the more innovative fund raisers is being put on by the Bakersfield Music Theatre and Stars Music Theatre Restaurant out at the Kern County Gun Club, where they will hold a shoot, lunch and raffle on Saturday, April 20. The cost is $90 per person and it all starts at 7:30 a.m. Casll (6671) 325-6100 to register. * ... BROADWAY: Ready for a little Broadway in Bakersfield? The non-profit Lightwave Education is holding a fund raiser on Friday, March 13, at Stockdale Country Club featuring a couple of accomplished singers (Darnell Abraham and Nadine Risha) who will belt out some classic Broadway tunes. It starts with a reception at 6:30 p.m. with the music kicking off at 7:30 p.m. VIP tickets are $75, regular tickets are $50 and students get in for $25. Tickets are on sale at www.lightwaveeducation.org or you can call (661) 381-7644.